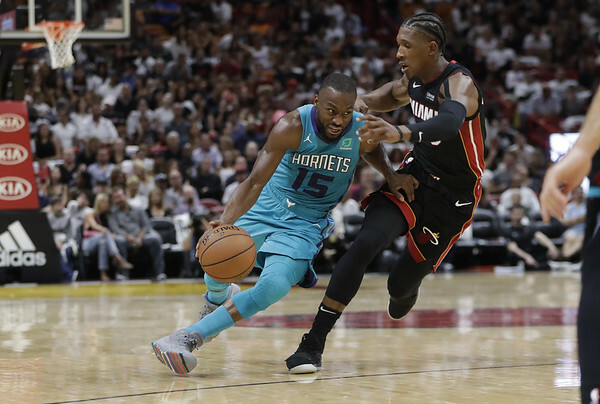 MIAMI - There was a stretch last season spanning four games when Charlotte's Kemba Walker missed 16 consecutive attempts from 3-point range. Walker, a former star at UConn who led the Huskies to the 2011 National Championship, understands there's a direct correlation between stardom and winning. He's been an All-Star, he's probably going to get a monster contract next summer, he played in two NCAA Final Fours at Connecticut and led the Huskies to the 2011 national championship. But if he's going to reach the level of NBA respect that he's perpetually seeking, it's going to take more than 3s. Posted in Newington Town Crier, UConn on Sunday, 21 October 2018 16:38. Updated: Sunday, 21 October 2018 16:50.